Otospongiosis also known as otosclerosis is abnormal growth of bones in the labyrinth area of the inner ear which result in loss of hearing. This abnormal growth of bones prevents normal vibrations of the bones in response to sound waves. This is the reason for the loss of hearing. Otospongiosis is not common among children and most of the patients are grown up people in the age group of 40 – 50. The hearing loss that occurs in Otospongiosis is bilateral. As this disease is not symptomatic it is difficult to decide the exact date of onset of the disease. The occurrence of this disease is more common in women compared to men their ratio being 2:1. The hearing loss associated with this disease is found to contain sensorineural as well as conductive components. One peculiar characteristic of this disease is its periodical remission. These remission periods can be long with occasional flares. 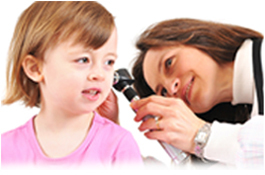 Pregnancy has found to increase the hearing loss associated with otospongiosis. In this disease the hard endochondral bone is either replaced by soft sponge like bones or such bony tissues grow around the area of labyrinth. Symptoms of Otospongiosis include low hearing loss which slowly increases and worsens. Better hearing in noisy environments than in silent environment. Ringing in the ears is also a common symptom of otospongiosis. Otospongiosis involving the oval window of the ear is known as fenestral. 80 % of the otospongiosis belongs to this group. The bone just anterior to the oval window is the most commonly affected lesion of this type of Otospongiosis. It may extent to the stapes which is known as stirrups in English. Hearing loss found in this type of Otospongiosis is known as fenestral. 20% of the Otospongiosis belongs to this group. The hearing loss involved in this type of otospongiosis is sensorineural type. Cochlear is involved in this otospongiosis as a result of which the cochlear capsule is de mineralized. CT scan through temporal bones is the most sought out imaging technique used for diagnostic purpose. MRI scan is having limited applicability only in Otospongiosis diagnosis. Stapedectomy is a procedure developed in 1950s for fenestral Otospongiosis in which a stapes prosthesis is made use of. Hearing aids are normally successful for conductive hearing loss and definitely are less dangerous than having ear surgery. Medications such as fluoride, calcium or vitamin D may help to slow the hearing loss.